The suit seems to sort itself. It’s what you choose to wear with it – designed to express something, like a personality – that’s the real conundrum. And that often boils down to your shirt and tie. Or, in some institutions, just the tie – remarkably, some London banks, for example, still insist their employees only wear plain white or blue shirts. But for those of us in a proper job, the decision remains: what tie goes with what shirt? Here’s everything you need to know, from form to colour to texture. 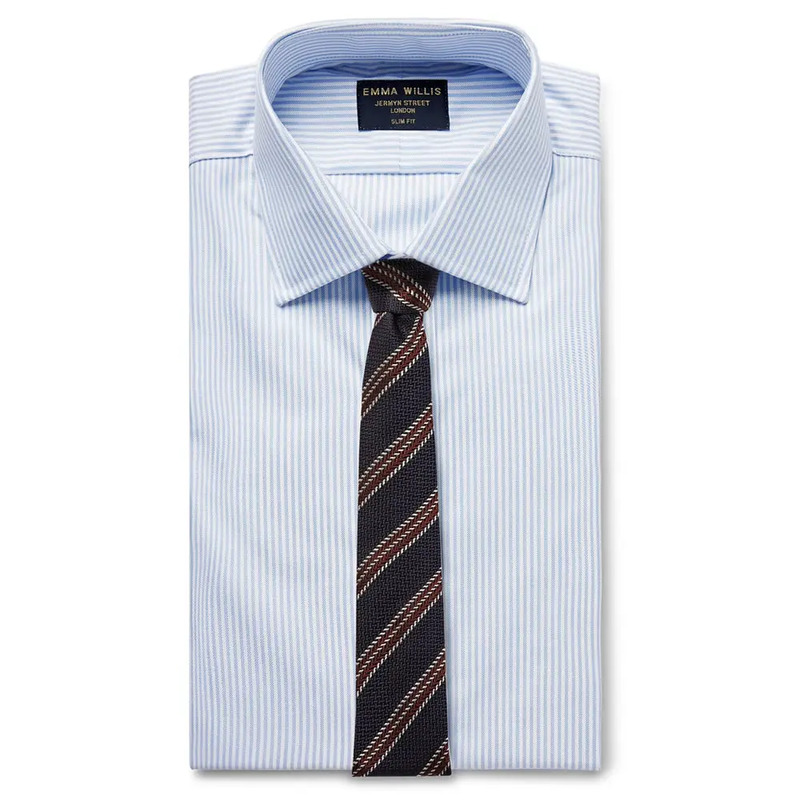 Form is the oft-neglected first step – in other words, what tie knot goes with what collar? This is important because the collar and tie frames the face. It’s the bit of your attire that, subconsciously maybe, someone will notice in conversation with you. It’s why, if you’re wearing a suit with a business shirt, but you’re not wearing a tie, then you haven’t finished dressing: a suit almost always necessitates a tie; a business shirt demands it. There are multiple collar shapes, of course, but let’s boil it down to the four core choices. There’s the cutaway: the most elegant but also the most extreme of shirt collars, the 1930s-era cutaway (aka Italian) collar most definitely requires the wearing of a tie and is said to flatter a narrow face shape. This is the style that brings most attention to your tie. 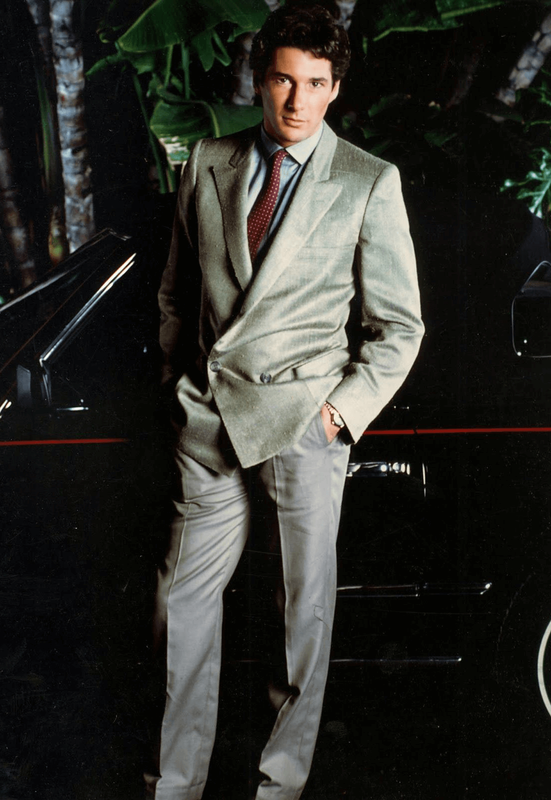 More importantly, it’s the style that has the greatest amount of space between the collar points, and one crucial rule of dressing well is nature abhors this vacuum. The tie must be used to fill this space – so the wider this gap is, the wider your tie knot needs to be. Most ties are tied with the classic four-in-hand; the standard knot you get taught when it comes to putting on a school tie. 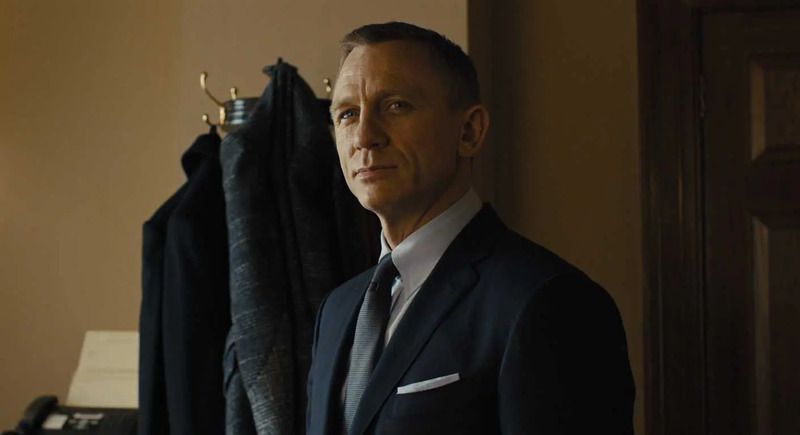 But the cutaway requires a full Windsor; the inverted triangle shaped knot, which is the beefiest of them too. Learn to tie it – aside from the four-in-hand, it’s probably the only other knot you’ll ever need to know, though there are literally hundreds of knots to explore if you’re so inclined. After the cutaway there’s a descending sliding scale of width between the points in other styles of collar. 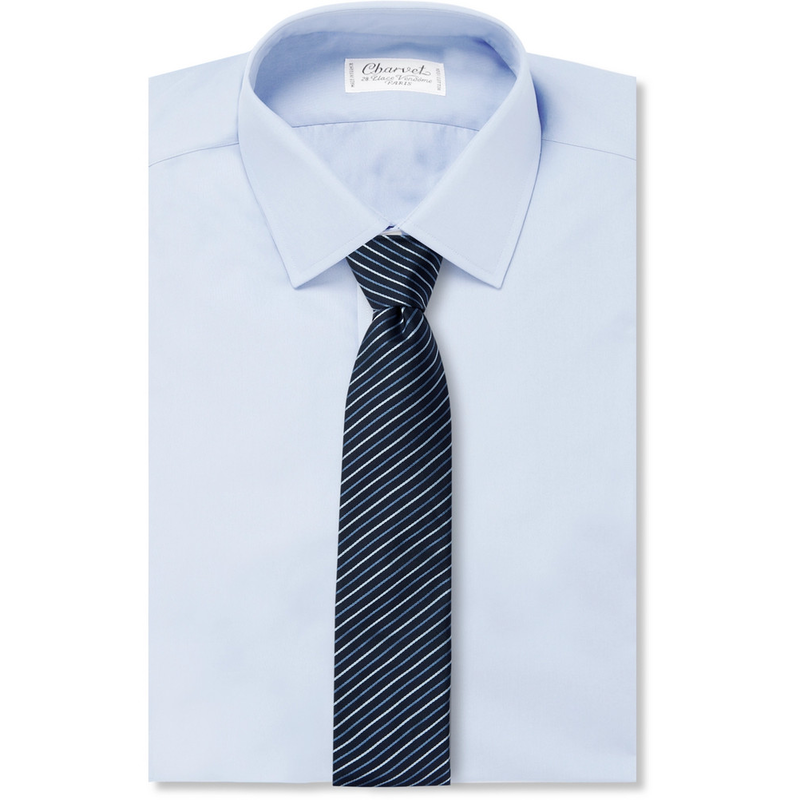 The spread collar, for example, is the cutaway’s less ambitious cousin, leaving enough room for the greatest variety of knot styles and neatly framing most face shapes. 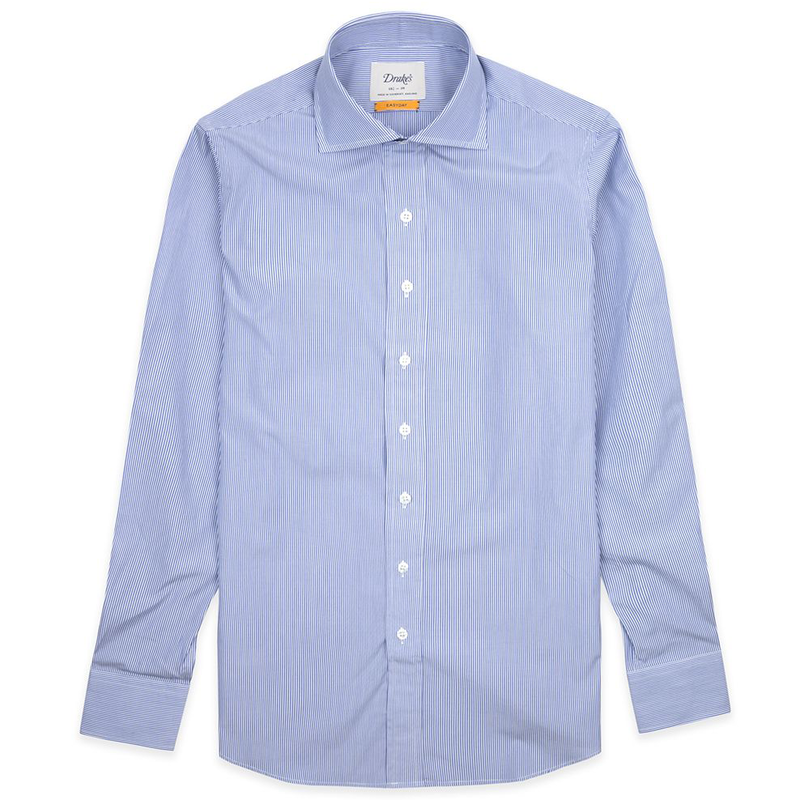 It works with tailoring or, at its most relaxed, a smart casual shirt style. 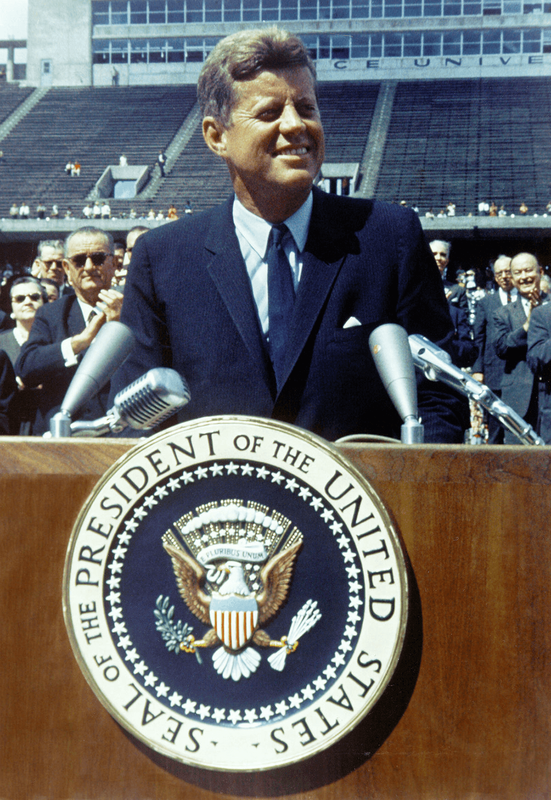 Again, it’s the Windsor – or the slightly slimmer half Windsor – that works best here. 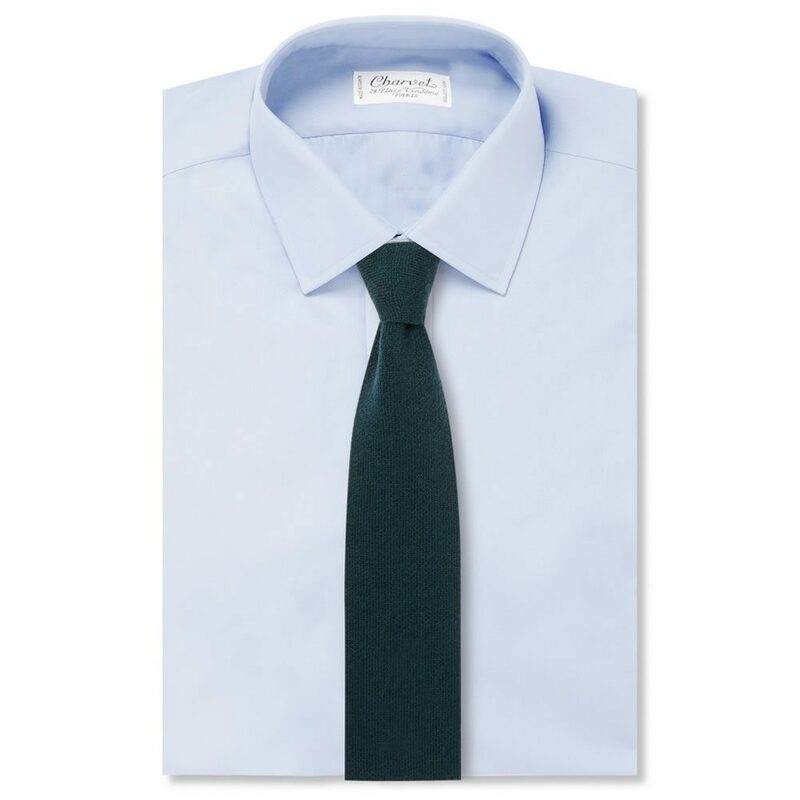 Then there’s the point collar: the classic, standard collar shape, originating in military dress and working with or without a tie (if you’re not wearing a lounge suit) – though it’s ideal for framing a four-in-hand knot. This is the default type of shirt for most manufacturers because it sits perfectly in the middle ground. Finally, there’s the button-down. The most casual of collar styles, it originated from a practical need to stop collars flapping in the faces of polo players while playing, and is the definitive style of Ivy League preppy cool. 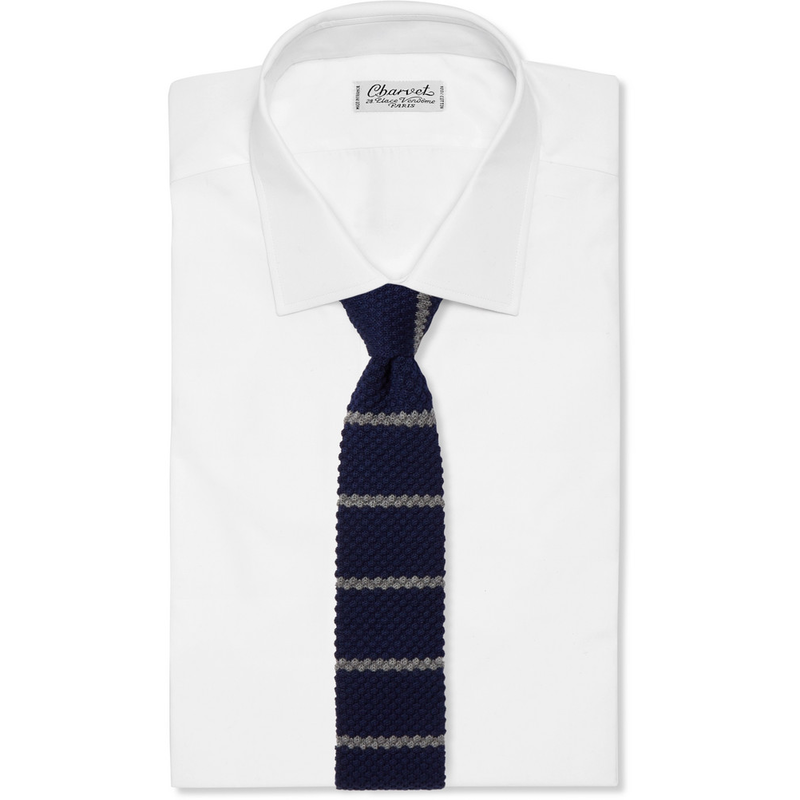 It’s widely considered a relaxed collar style and therefore just as often seen worn casually without a tie. However, precisely for that reason, some have made it their signature choice when it comes to formal dressing. 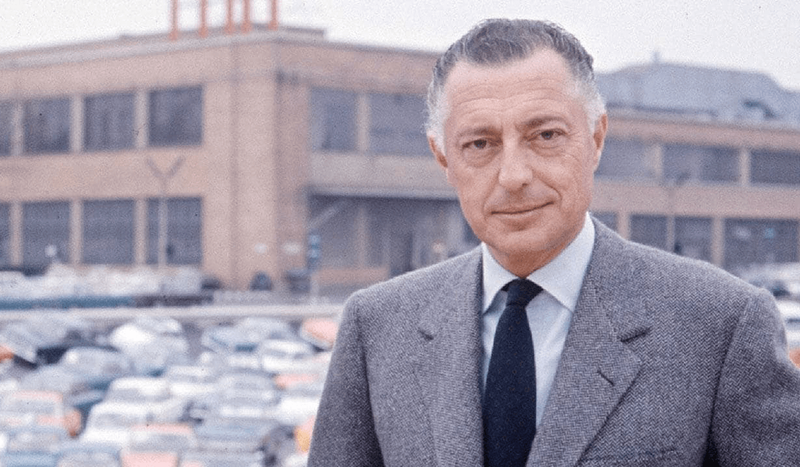 Tastemakers like Fiat supremo Gianni Agnelli wore his with the collar buttons undone. If you do choose to don a tie, you’ll need a four-in-hand knot here. Shape duly considered, you’re free to move onto the tricky matter of teaming the aesthetic of shirt and tie. Now, there are plenty of guides that lay down supposed rules of colour matching, but these are tenuous at best. The fact is that a shirt and tie which quite deliberately clashes in pattern or colour can look great, providing it’s worn with confidence (and a relatively plain suit). But not all are so bold when bringing shirt and tie into harmony. The most obvious way to get it right is to focus on colour: the colour of the shirt is echoed, so to speak, in the colour of the tie – but never matched. Rather, the two shades sit close to each other as, picturing a colour spectrum, two shades that might morph into one another do. It’s probably the simplest means of putting two colours together in a way that is easy on the eye; not particularly creative, perhaps, but it works. As a rule of thumb, the darker shade should be in the tie, rather than the shirt (with a white shirt giving free reign to wear almost any tie you fancy); likewise, the pattern in the tie should be bolder or larger than that in the shirt, especially if the shirt is checked. This doesn’t mean the main colour of the body of the tie need be similar to that of the main colour of your shirt – more that the colour of some obvious detail in the tie might chime with that of the shirt. Indeed, the main body might actually contrast with the shirt. Contrast tends to work best with solid (i.e. 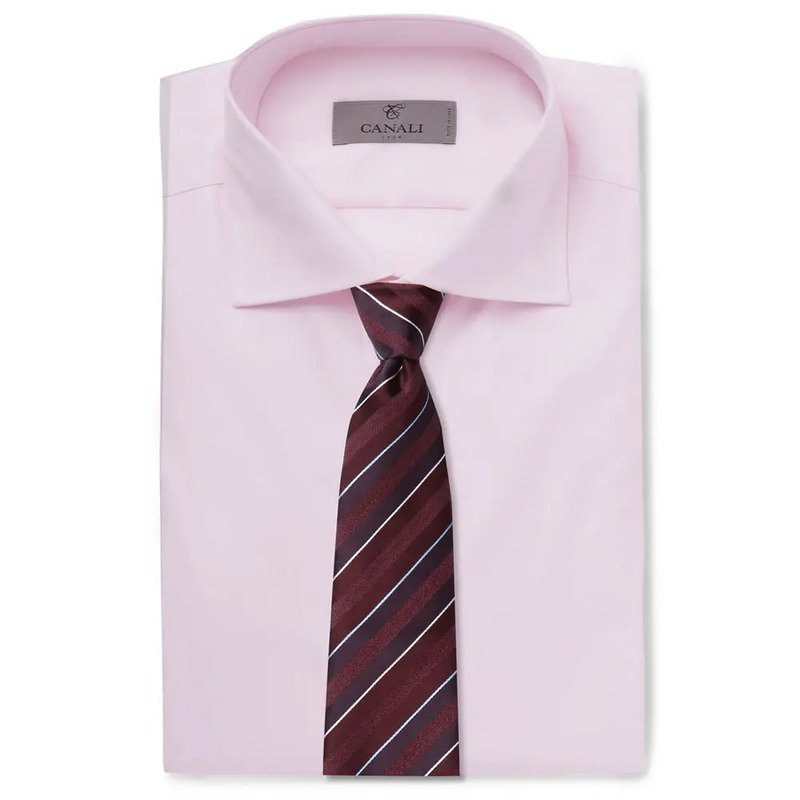 un-patterned) colours: a plain tie against a plain shirt. Pattern isn’t required, it’s the colour that does the talking. 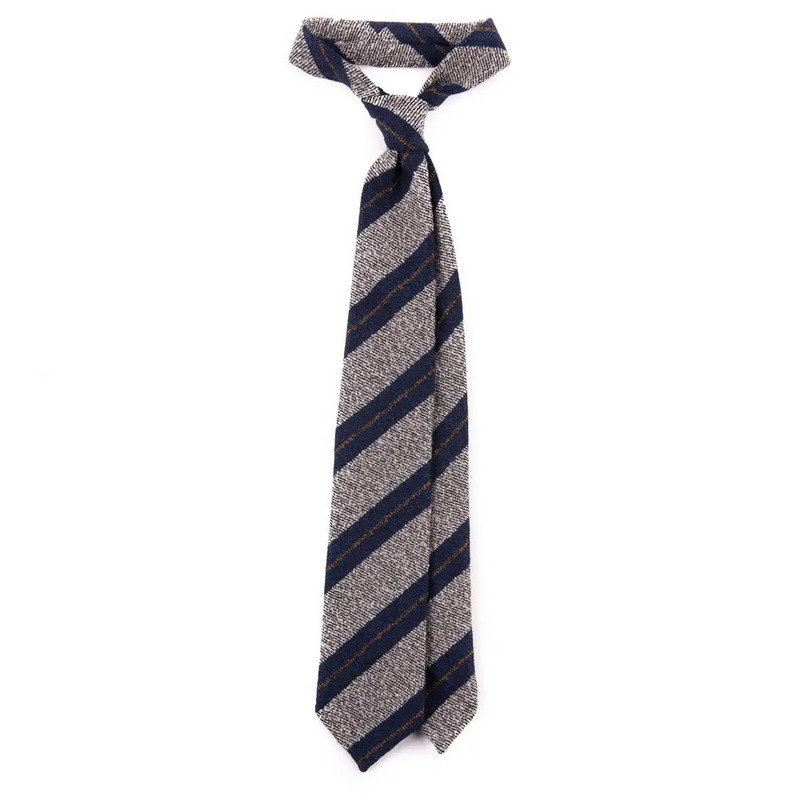 In fact, solid ties seem to solve myriad problems if dressing in the morning is typically bleary-eyed and rushed – working just as well against patterned shirts as they do plain ones. This is where the knitted tie really comes into its own, because its texture alone is enough to make it interesting. Such is the emphasis on getting the right colours together, when combining shirts and ties, it’s easy to overlook the appeal of texture in the interplay between the two. 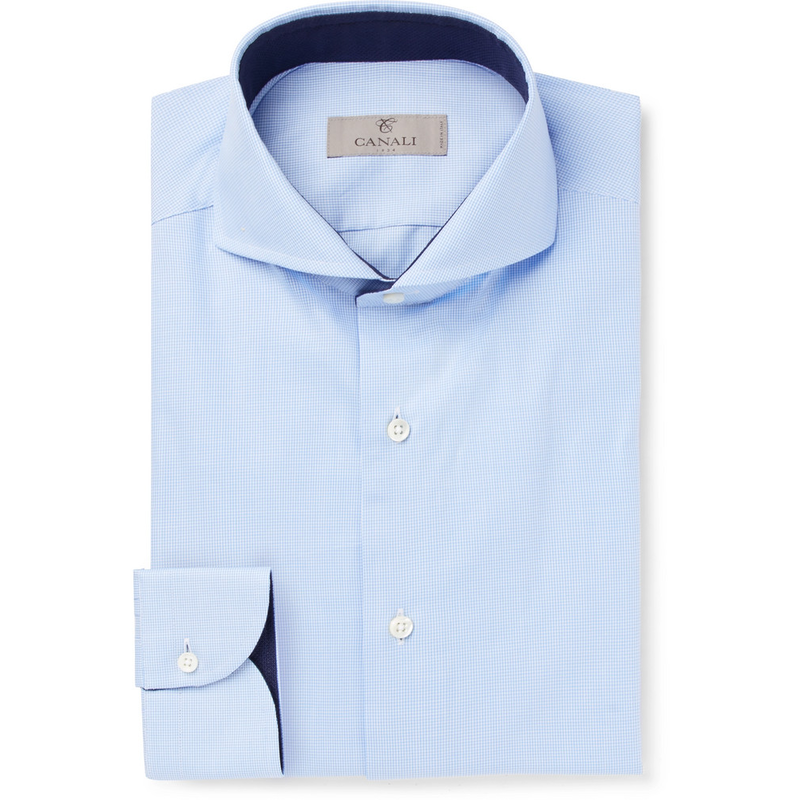 After all, business shirts don’t only come in a smooth and crisp cotton poplin these days. 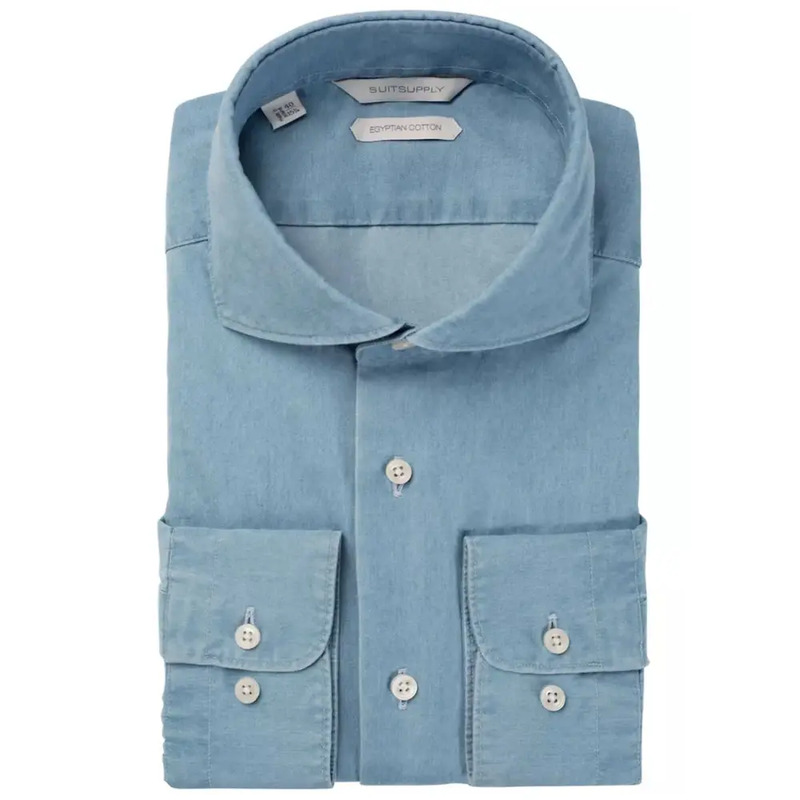 Your shirt cloth might be woven in a twill; it might be chambray or even a lightweight denim. They all have a different feel to them, which likewise can prove a means of self-expression when it comes to teaming them with a tie. Again, as with colour, contrast is one approach; matching the more textured surface of the shirt with the flat sheen of a silk tie. But finding a complementary focus often works better: combining a textured shirt with a textured tie in knitted wool or silk, for example. 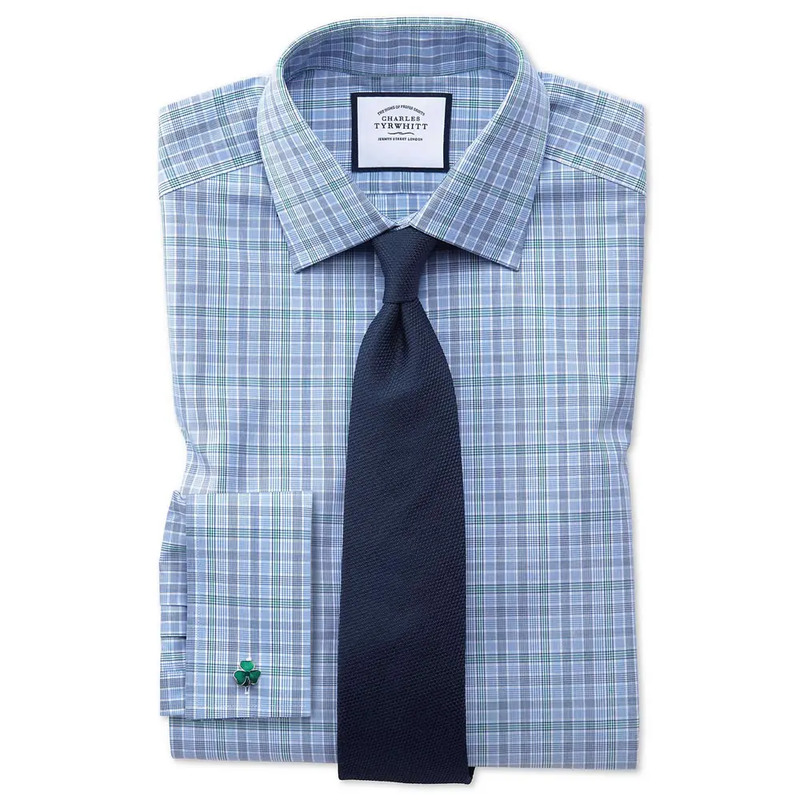 There’s less formality to these choices, which is why they work particularly well in business casual offices. Still struggling in the morning? Below you will find some of Ape’s go-to pairings, for the core business shirts every modern gentleman should have in his rotation. 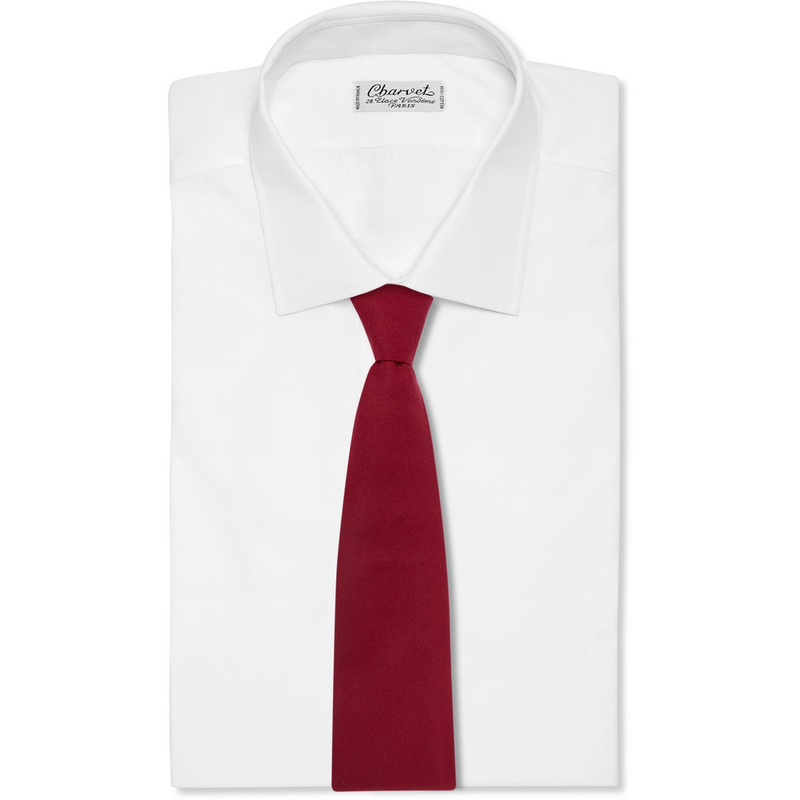 The plain white shirt is a blank canvas – choose a solid block colour as a safe bet. Or feel free to experiment with stripes, dots or patterns in any colour. 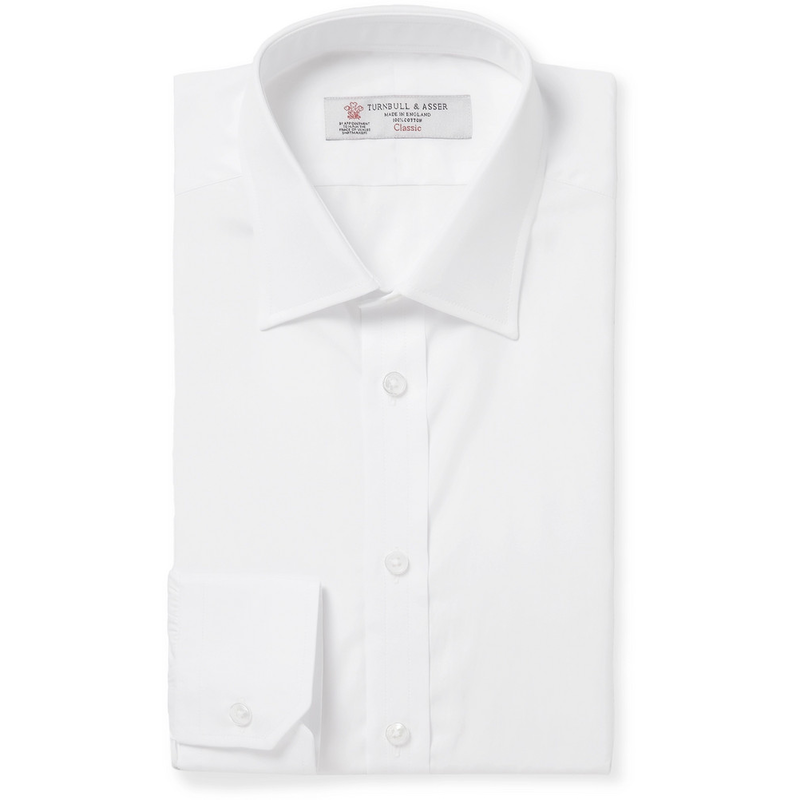 You really can’t go wrong with a white shirt – it’s an easy win. The sky blue shirt is particularly versatile, working well with darker, tonal shades of blue as well as richer shades of burgundy, burnt orange, mustard and green. 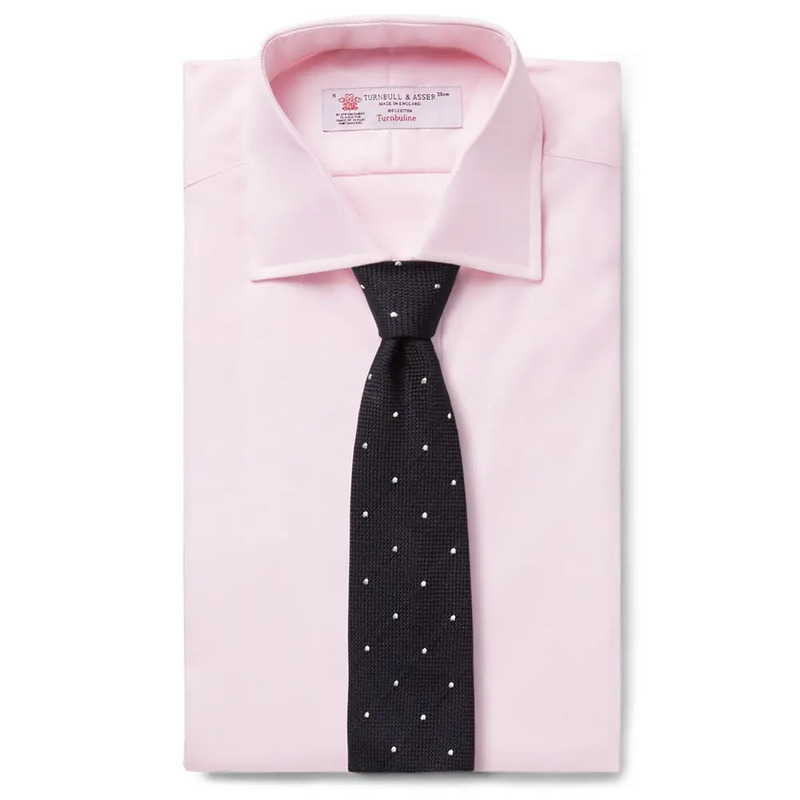 The pale pink shirt is a statement in itself but can be toned down nicely with a navy blue tie. For more of a contrast, you might wish to try shades of green, burgundy, mauve or grey. 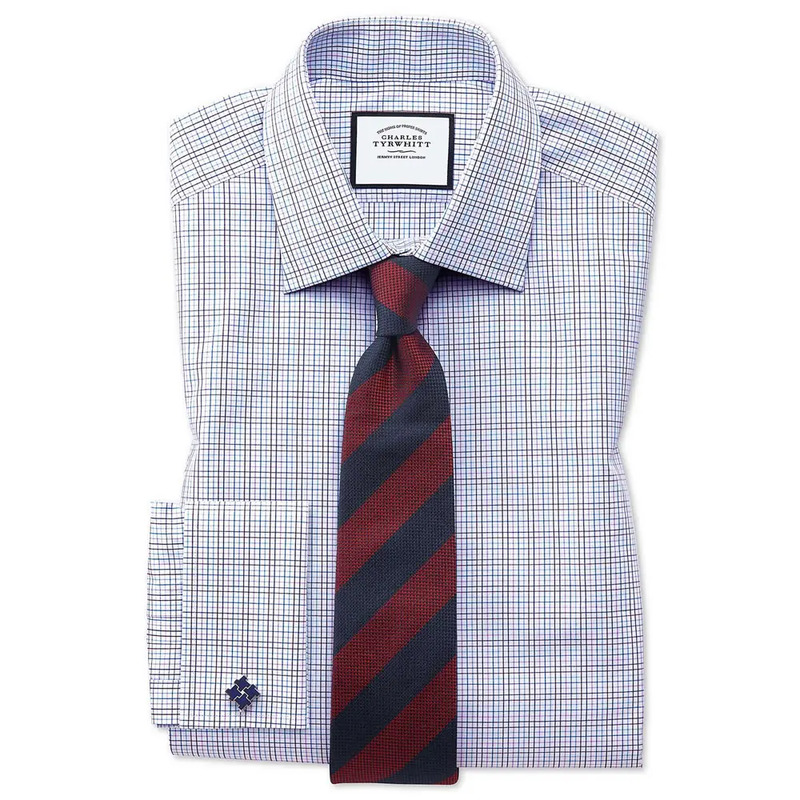 Check shirts tend to lend themselves best to smart casual wear, but teamed with a block-colour tie (particularly in a hue that picks out one of the core colours in the shirt) it can be smartened for a more formal business approach. If you’re combining a check shirt with a patterned tie – whether stripes, checks, dots or other – it’s imperative that the tie’s motif is both bolder and larger in scale to ensure it doesn’t get lost against the shirt. 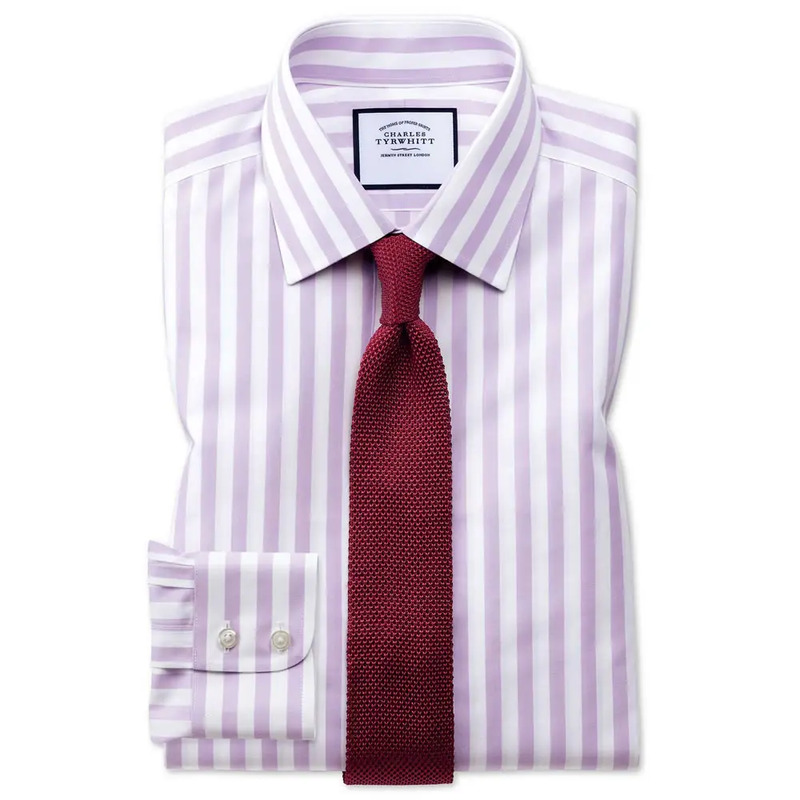 A plain, block-colour tie in a complementary or tonal colour is your best bet with a striped shirt, which is often eye-catching enough on its own. When it comes to pattern matching, a fail-safe approach is to opt for a striped tie, so long as the stripes are thicker and of a different orientation (vertical stripes against horizontal stripes, for example) to create some much-needed contrast. Shirts in textured fabrics like chambray, denim, flannel, linen and Oxford cloth are smart casual-leaning, and therefore it’s imperative you retain a sense of balance with your tie. The flat, shiny silk tie you wear for formal engagements is going to be a juxtaposition too far here. 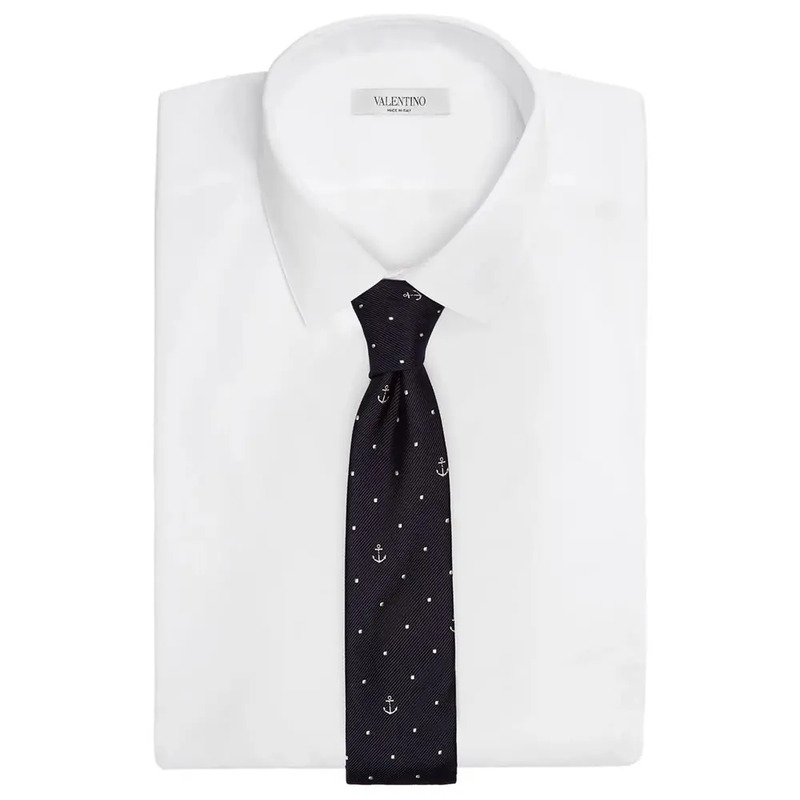 Instead, look to team this type of shirt with similarly textured ties in wool, cashmere, denim and knitted/slub silk, whether in complementary or contrasting hues. Getting a shirt and tie to be good neighbours isn’t easy. But nor is it really something to fret over. Men tend to imbue getting their shirt and tie choice right with far more significance than it actually has, at least when an assessment of your overall outfit is considered. There are many things you should consider a priority before you panic over your shirt and tie combo: for example, a suit that fits really well; good, clean shoes; pressed clothing; even your general grooming and hairstyle. 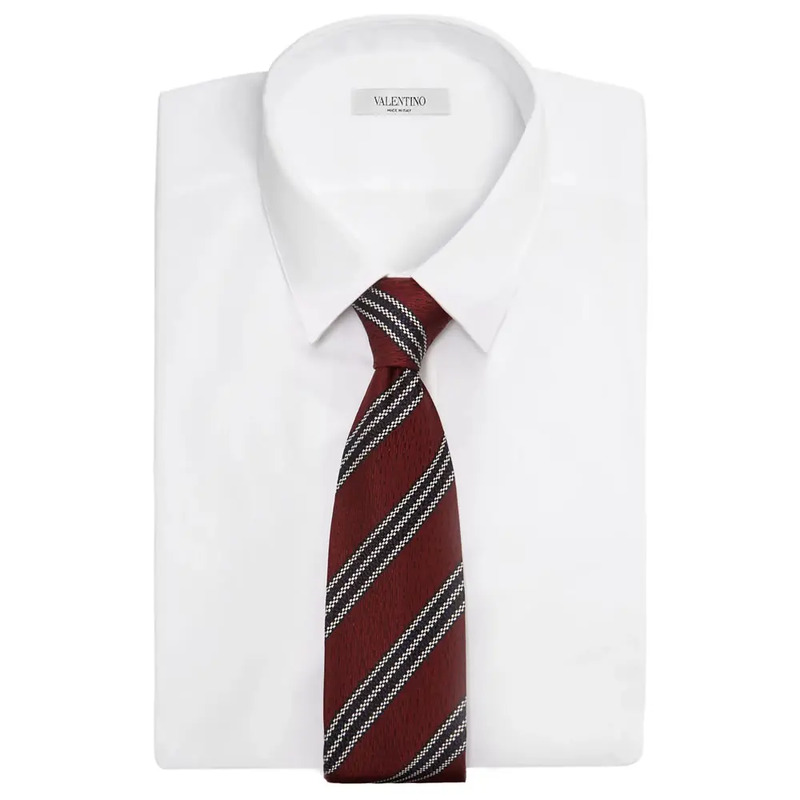 Get these things right and if your tie goes especially well with your shirt, well, that’s merely the cherry on the cake. And, if it doesn’t, just explain it away as your sartorial flair.